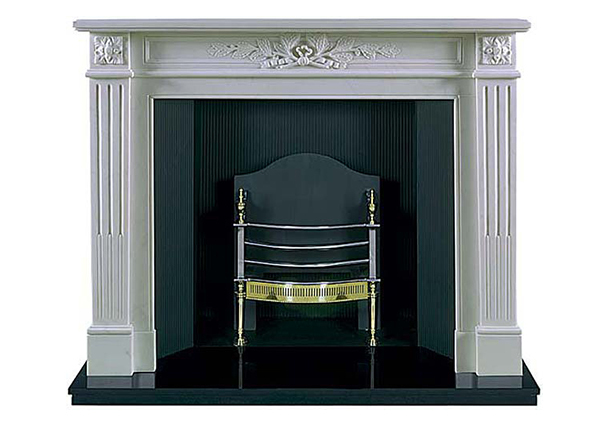 Below are examples of our range of Reproduction French marble mantels. 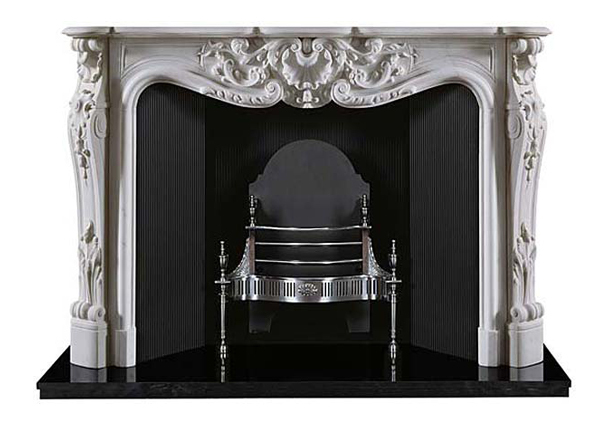 Our reproduction French style marble mantles are copied from original antique pieces.  They range from the classical simple lines of the Louis XVI period to the more elaborate design of the Louis XV period. 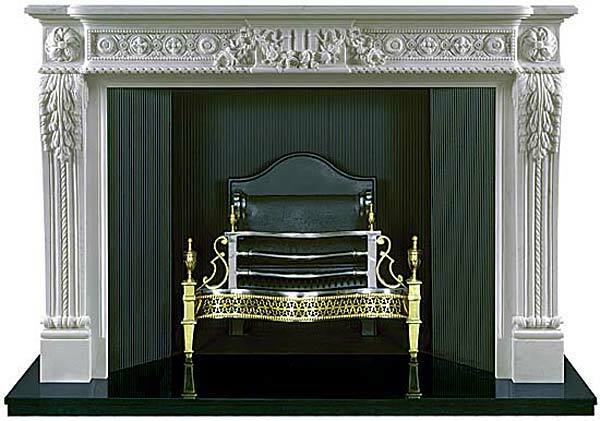 Each mantel is individually hand carved and finished and the intricate carving is in bold three dimensional relief. Each piece is carved from natural marble and therefore has its own characteristics. 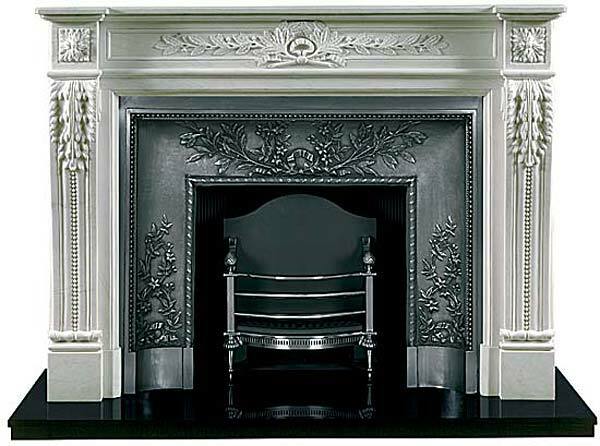 Our Napoleon mantel shows a frieze intricately carved with the classical Laurel leaf sheath design with vine tendrils and leaves decorating along the length of the frieze all surrounded by pearl stringing. 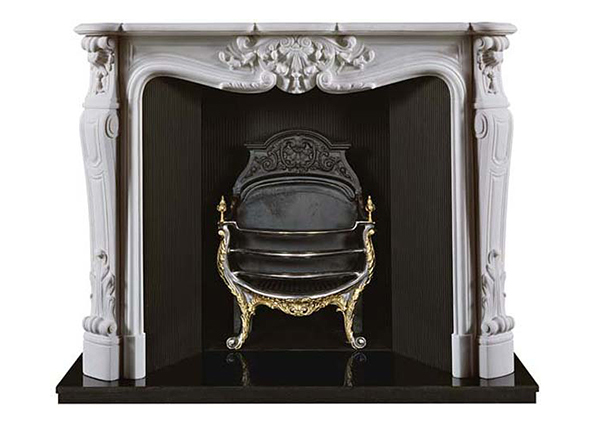 The legs show acanthus style leaf design corbels rising from scroll leaf bases. The singular depth of the shelf and outside legs give a true depth to any room and instantly adds character. 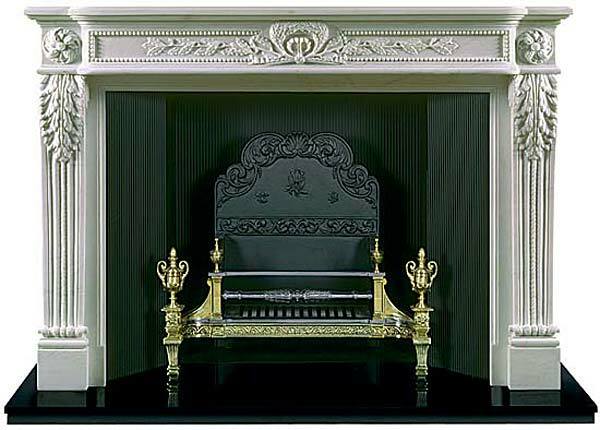 Our Rose and Macaroon mantel is also in the Louis XVI style and the frieze is beautifully carved in detailed relief to show a swag of roses complemented by deeply carved “macaroon” roundels either side. Our Josephine and Antoinette designs are in the |Louis XV styles and their natural sweeping, flowing, curved form adds elegance and charm to any room with their classical central shell motif and carved-shell motif legs.